The Director General of the Tanzania Export Processing Authority (EPZA), Dr Adelhelm Meru called upon investors to take advantage of the opportunities in Tanzania’s Lake Region. The called was made during the Lake Region Investment Forum that took place this month in Mwanza, North West of Tanzania. The Lake Region that comprises 6 of Tanzania’s administrative regions, namely Mwanza, Mara, Shinyanga, Geita, Cagera and Simiyu, is renowned for its mineral resources that include gold and diamonds. Agriculture and agribusiness, fishing as well as tourism were also showcased by EPZA’s paper on investing in the region. EPZA plans include a 3,500 hectares industrial and commercial township. 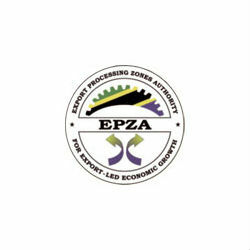 EPZA operates to attract Foreign Direct Investment to the country by supporting the development of industrial and commercial infrastructure to create a suitable business environment for investment. To learn more about EPZA read TanzaniaInvest exclusive interview by with EPZA Director General Dr Meru.